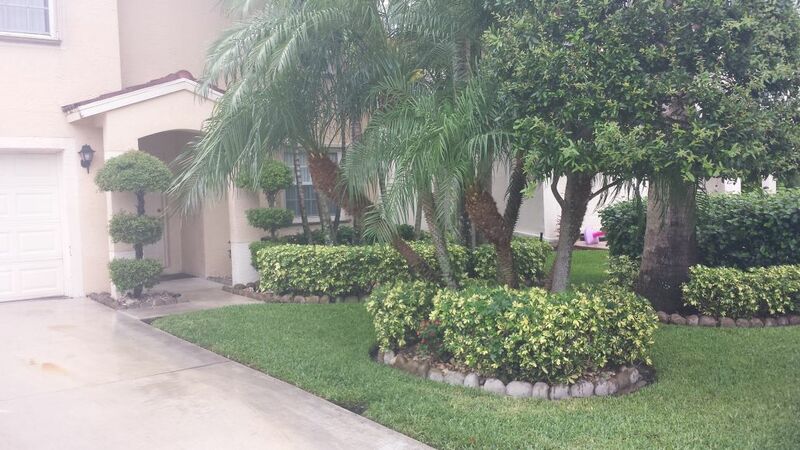 These days it might seem hard to find a lawn care service that will bring dependability and integrity to the job. There are so many of these companies available in our “Around Wellington” area. 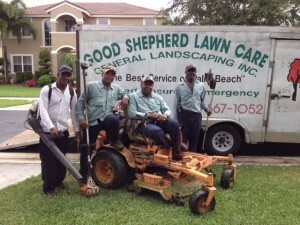 That’s why it’s refreshing to find Good Shepherd Lawn Care, a lawn and landscaping service that you can depend upon. 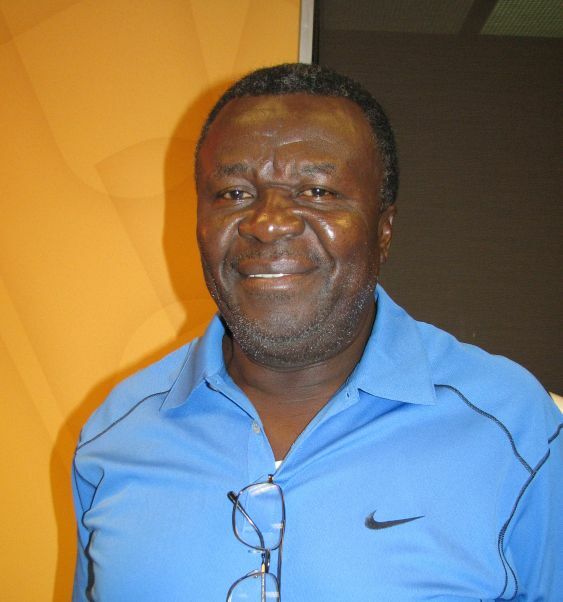 Owner Pauleon Pierre has been in business for eighteen years, and he is state, county and city licensed. 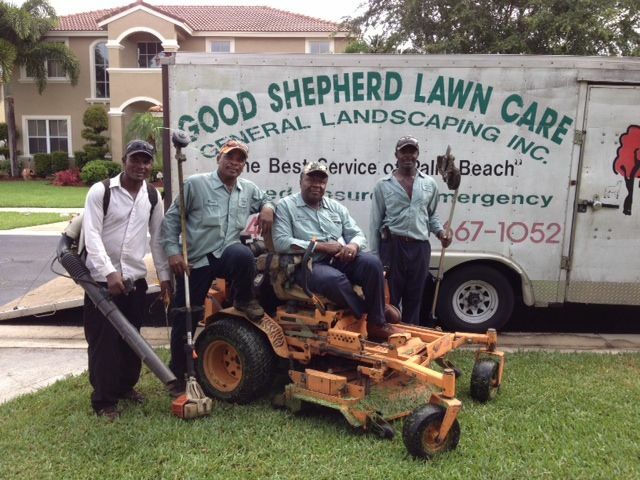 Good Shepherd services customers in Palm Beach County and Broward County. “In eighteen years, I have never lost a customer due to quality issues – only to budget issues,” says Pierre. With some companies undercutting the average lawn care business and offering to do lawn care for only $19 per month, customers are sometimes tempted to go with the cheapest option. However, Pierre warns that these low-ball estimates are not as they appear, and most of his customers end up coming back (after they find that there are many extra “a la carte” charges for every little thing and that the lawn is not properly maintained). In general, he says that it’s important to make sure your lawn is getting cut about three or four times a week in the summer and about twice a week in the winter. If you’re a home owner, you already know that there’s a lot more involved than just cutting the grass. Here are the services that Good Shepherd has to offer . . .
At Good Shepherd, they will handle your outdoor hurricane preparations. 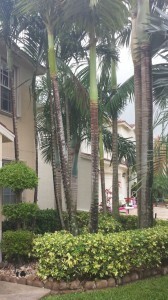 This requires trimming all of the major trees by the house, taking down coconuts, taking down wide branches and basically making sure that the wind can blow through the treetops easily. The hurricane trimmings need to be done by the end of May or by the first week in June, according to Pierre. Pauleon Pierre is a go-getter and a good business man. Prior to this lawn care business, he was a taxi driver for ten years. He had the idea to start a lawn care business and printed 1,000 business cards, giving them to his taxi customers who seemed interested. As soon as he had enough customers to begin, he left his job as a taxi driver and launched the business. He made over $1,000 in his first month and grew the business quickly, month by month. He kept getting larger contracts and investing in bigger and better equipment. 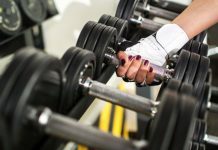 He was able to win the contract on three upscale, gated communities, which required more staff and even more equipment. 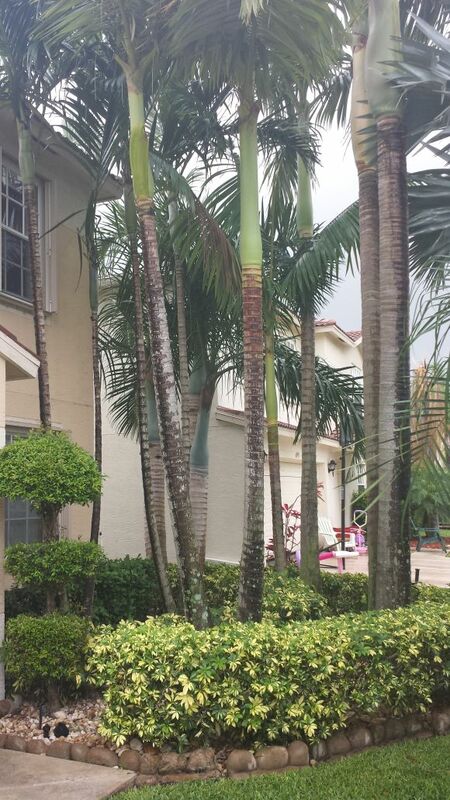 He is prepared for any job, large or small – entire neighborhoods or individual lawns. For first time customers, Good Shepherd Lawn Care offers a 20% OFF special (for any service) as long as the customer continues with the service after that. Their rates do not change whether it’s summer or winter; the monthly fee remains the same. Most importantly, Pauleon always aims for the best service and does so without talking negatively about his competition. “In this business, character is very important,” says Pierre. He prides himself on keeping his word and keeping it positive. Pauleon Pierre is living in a house “full of girls.” He’s been happily married for 32 years. His own daughters are all in college at ages 26, 24 and 20. His niece, 23 years old, also lives with him. He and his wife married in 1981 and moved to the United States. “I am overprotective of my family,” he says with a smile. They are always busy – the girls with their college work, his wife as a nurse and Pauleon with his lawn service and church work. In addition to his business, Pierre takes annual missionary trips to Haiti, the country where he grew up. His sister started these missions and asked him for his help fifteen years ago. He was happy to be able to provide financial support and to join her on the trip to Haiti. As a minister able to perform services in the U.S. and in Haiti, he also makes a point of marrying couples whenever he travels to Haiti. Last year he married 73 couples in Haiti. This year, when he visits in July, it will be over 90 couples. He gathers good-quality, used wedding clothing from Faith Farm and lends them to the brides and grooms. Also he explains that there are many more people living with disabilities in Haiti, so he also gathers medical equipment from hospitals (like walkers) and delivers them to people in need when he takes his trips. Delivering clothing and medical equipment is all a part of his mission. For more information about his organization, ask Pauleon Pierre about Foundation Missionary Haiti. Are you ready? If you’re ready for a new lawn care service, give Good Shepherd Lawn Care a call! Whether you’re tired of doing the work yourself or you’re tired of poor results from your current lawn care service, when you turn your yard over to Good Shepherd – you are in good hands! Previous articleJune, 2013 – I Give You Permission . . .